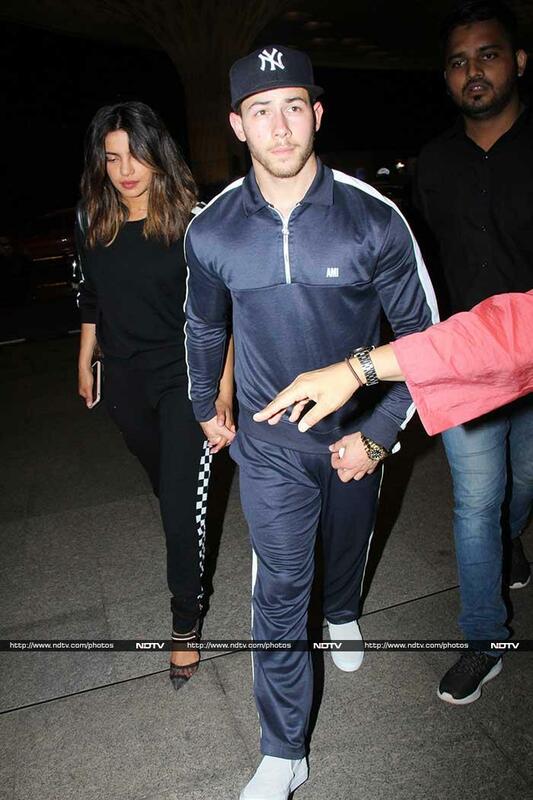 Priyanka Chopra and Nick Jonas flew out of Mumbai in the early hours of Friday - the duo were spotted holding hands, yet again, at the airport. Priyanka and Nick reportedly left for Dubai on Friday. It's adorable how Nick escorted Priyanka through the airport. Major couple goals set by these two. Aww, look at the smile on Priyanka's face!